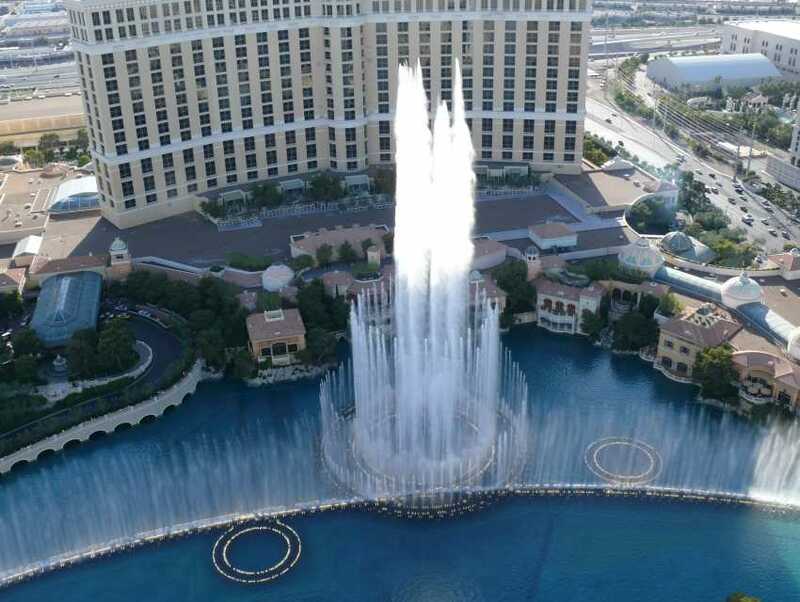 A visual water symphony choreographed to music provides an unforgettable welcome to the Bellagio Hotel Casino. 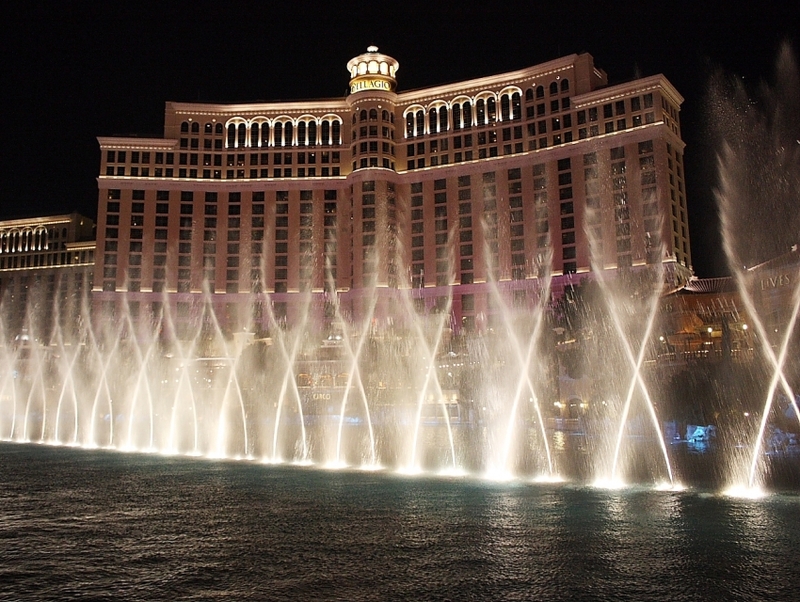 The water jets span more than 1000 feet (304 meters) and can shoot up to 250 feet (76 meters) in the air while seeming to dance to choreographed lights and romantic classical music. It is a spectacular sight and one worth taking the time to view while strolling along the boulevard. As evening sets in, the lit up fountain is a sight to behold. Be sure to bring a camera as this is one of Vegas' best attractions - and it's free! The magic happens every 30 minutes until 8 PM, after which shows are every 15 minutes. Please note that shows may stray from this schedule due to the weather.